Designed to appeal to the booklover, the Macmillan Collector's Library is a series of beautiful gift editions of much loved classic titles. Macmillan Collector's Library are books to love and treasure. This elegant edition features an afterword by Dr Keith Carabine, specialist in American literature and former chair of the Joseph Conrad society. One night on the Thames, Charles Marlowe tells his fellow sailors the vivid and brutal tale of his time as a riverboat captain in the Belgian Congo. From the mists of London we are whisked to the darkness of Africa’s colonial heart – and into the thrall of the tyrannical Kurtz, an ivory trader who has established himself as a terrifying demi-god. 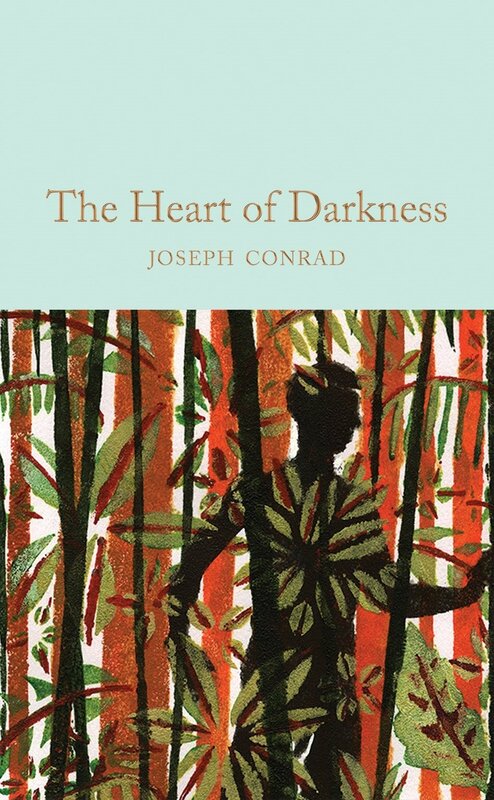 Sinister and incisive, Heart of Darkness by Joseph Conrad has retained the fascination of readers and scholars alike. It is accompanied here by the stories with which it has been published since 1902: the autobiographical Youth, and the tale of an old man's fall from fortune, The End of the Tether. Joseph Conrad was born in Ukraine in 1857. He grew up surrounded by upheaval; his Polish father was exiled to northern Russia for political activities, and Conrad was orphaned by the age of 11. He left for Marseilles in 1874 and began training as a seaman. After an attempt at suicide, Conrad joined the British merchant navy and became a British subject in 1886. Following the publication of his first novel, Almayer's Folly in 1895 he left the sea behind and settled down to a life of writing. Troubled financially for many years, Conrad faced uncomplimentary critics and an indifferent public. He finally became a popular success with Chance in 1913, fourteen years after the publication of his masterpiece, Heart of Darkness, in 1899. He died in 1924, his status as one of the great writers of his time already assured.